National Skin Cancer Action Week (19-25th Nov 2017) has come and gone, however, the skin protection message remains as strong as the sun. 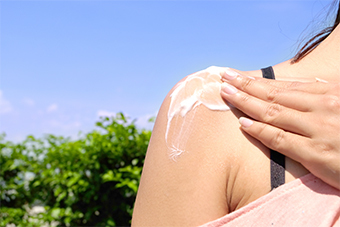 New Cancer Council research shows that more than 2.7 million Aussies are forgetting to slip on a shirt to protect themselves from the sun and that an alarming number of adults are getting sunburnt on summer weekends. Overall the proportion of adults slipping on clothing to protect themselves from the sun has decreased from 19 percent to 17 percent in the last three years. We need to be more vigilant, including on cloudy days. Two in three Australians are diagnosed with skin cancer by age 70 and more than 2,000 people in Australia die from skin cancer each year. Yet most skin cancers can be prevented using good sun protection.